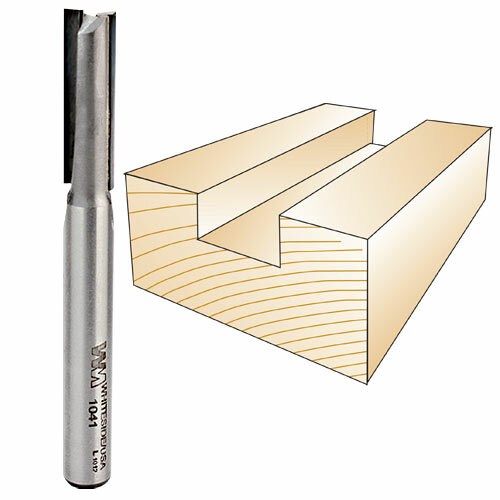 A 3/8" shank straight router bit made specifically for use in an air router. Useful for a wide variety of applications including grooves, dados, joint making, and general purpose stock removal. Carbide tipped and double fluted. Whiteside Machine Company - Claremont, North Carolina.